A recent Litmus email reminded me of a bug (?) I saw much earlier in the year and wanted to bring to the council but never did. Unfortunatly I don't have code to back it up only images. Apologizes if this is already known. 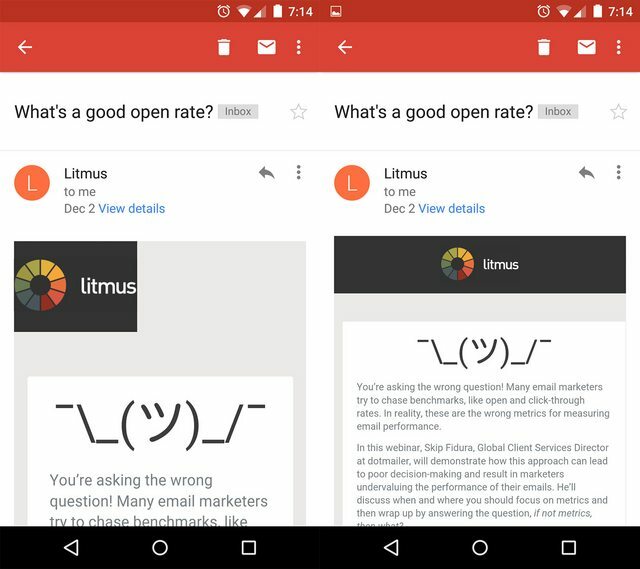 Take a look at Litmus recent email. Image on the left was on initial open. 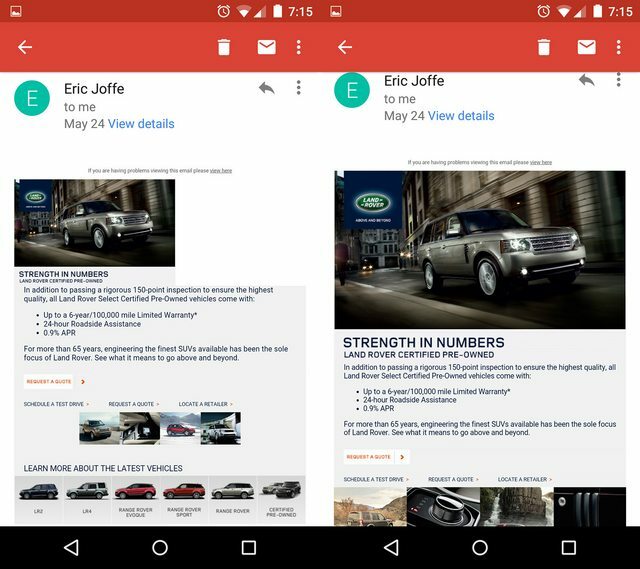 Image on the right displays by either choosing "Revert auto-sizing", or (at times) reloading the email. As you can see, I believe the image on the left is attempting to display the media queries but the header is funky looking. Image on the right is the desktop version scaled down. This email many moons ago is where I noticed it first. As you can see check out the header. The right image was when email was reloaded. WEIRD! yeah the autofit Gmail app feature screws everybody but I'm using min-width and it's fixing it. I'm glad they reversed the Gmail app for iOS latest updates as min-width didn't work at that time. I haven't delved into the code yet, so I'm not sure if it was built using techniques to make it responsive in Gmail, but adding the usual min-width:*enter width here*; fixed the Litmus issue. So either it was left out, which is breaking the flow or it was built a certain way and it was left out to make the email render a certain way in Gmail. Yeah Niven I think you may be on the right track with the min-width property. It also needs to be inline. I think the "auto resizing" feature in Android is screwing with us.